Domenico Dolce and Stefano Gabbana often have a ball playing with history versus future. This season it was more apparent than ever, the designers turning to pop culture’s current obsession with knightly custom for inspiration. 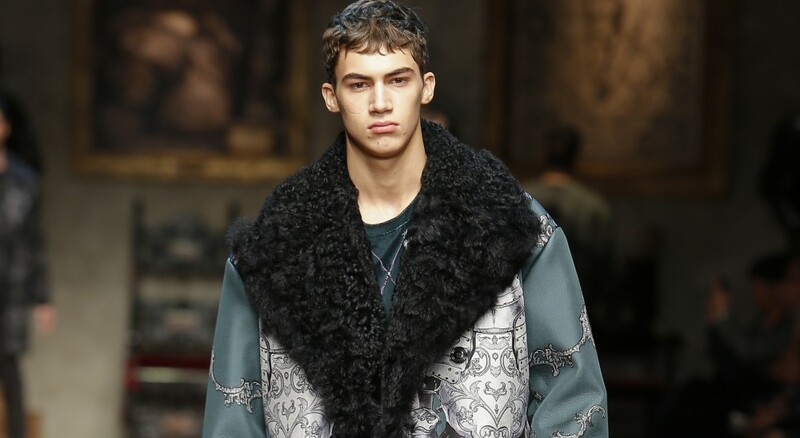 It was a curious blend of past and present – the kind of synthesis the designers are so finely attuned to – set with heavy sweatshirts cast with images of the Norman kings who invaded Sicily in the eleventh century. Gone were the Sicilian street-cast models of seasons past, replaced with a heavier, more forceful man. Yet the feeling was regally subdued. Perhaps it was the attention the designers paid to the balance aforementioned, keeping silhouettes clean and suits sharply tailored in the brand’s classic style. 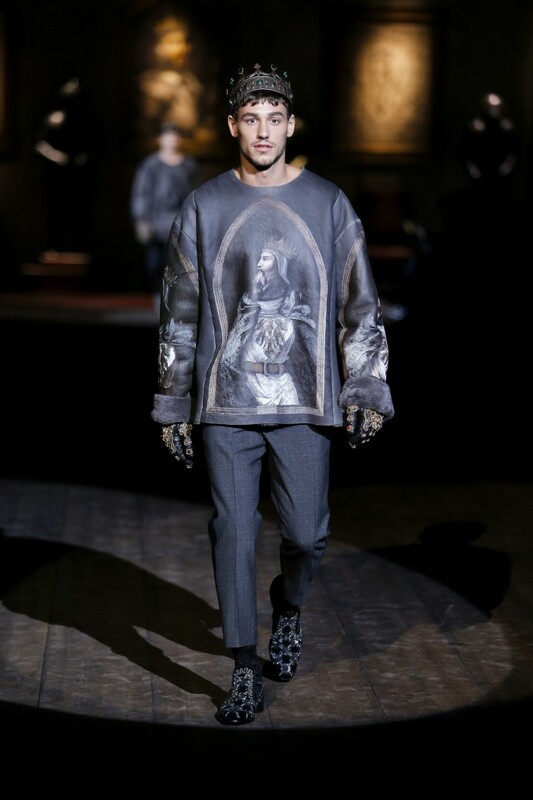 After all, Dolce & Gabbana are one of few design duos that could keep a throned man at bay.